Brisbane Local men’s health initative, Blokepedia, invites men and women to join in the conversation of supporting men’s health and well-being at its next Brisbane event. 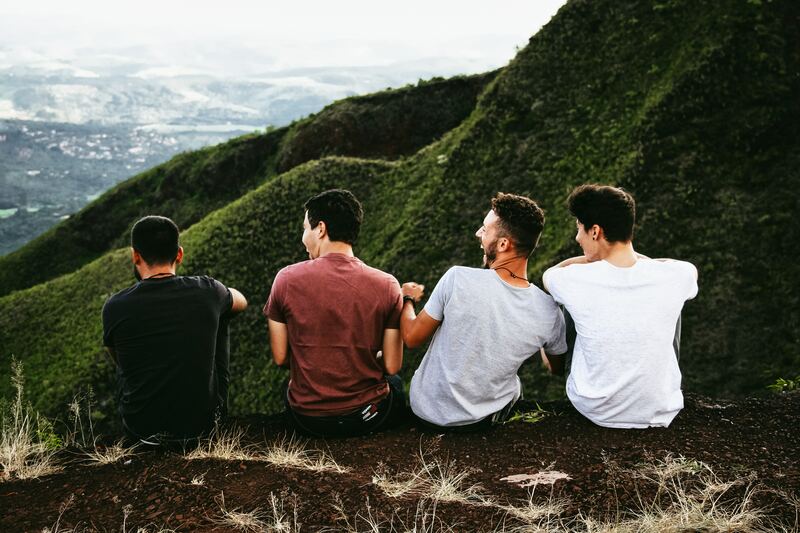 Blokepedia’s events are designed to create a comfortable, social environment for guests to have important conversations on men’s health and well-being. Dr. Tim Sharp, Jeanette Jifkins and Dr. Clive Williams will share practical advice and tools with guests on how to have those conversations with the men in their lives, and how to support them when it matters most. Dr. Tim Sharp, AKA ‘Dr. Happy’, is internationally recognised for working at the forefront of the Positive Psychology Movement. He came across the concept of Positive Psychology during the early stages of his career as a clinical psychologist. “In the late 1990s, American researchers were exploring the idea of understanding what is right with people’s mental health, not just what is wrong with it,” said Dr. Sharp. This introduction to Positive Psychology inspired Dr. Sharp to establish the Happiness Institute in Sydney. This was Australia’s first organisation devoted to enhancing happiness in individuals, families and organisations, by promoting the principles of positive psychology. Dr. Sharp says society has swept the issues of men’s mental health and wellbeing under the carpet for too long. “I’m a passionate believer in having these conversations. Not talking about these things does not work,” says Dr. Sharp. Jeanette Jifkins agrees with Dr. Sharp, saying, “There is an increasing level of conversation around mental health saying that it’s no less important than physical health. In terms of levels of care, I don’t think we have the metrics yet to measure that,” says Jifkins. Jifkins is Chairwoman of On the Line, which provides some of Australia’s most vital 24/7 professional remote counselling through services such as Mensline Australia and Suicide Call Back Service. She says her keen interest in mental health services stems from her upbringing by her parents. “As a kid, I was brought up to understand personal development and how to have resilient thinking,” says Jifkins. Jifkins says having resources that support men’s mental health and well-being, like Blokepedia, are invaluable and all too rare. “I think there are loads of resources supporting women, but there is a gap in this service provision for men,” says Jifkins. For people needing to support the men in their life affected by mental health, Jifkins and Dr. Sharp agree there are more ways to help than just talk to them. “It’s about creating a safe space, which removes the fear of judgement and allows the conversation to happen. This can take years of practice, no one should assume that someone can be fixed just by telling them what you think their problem is,” says Jifkins. “It’s important for everyone to be involved in knowing how to see the signs, how to respond and how to engage with men suffering problems with mental health. They need to listen without judgement and show patience and compassion,” says Dr. Sharp. For just $39, the next event will be hosted in Brisbane’s CBD and will provide guests with professional advice and tools from Dr. Tim Sharp, Jeanette Jifkins and Dr. Clive Williams, a copy of Dr. Elizabeth Celi’s book “Regular Joe vs. Mr Invincible – The Battle for the True Man”, and light refreshments.